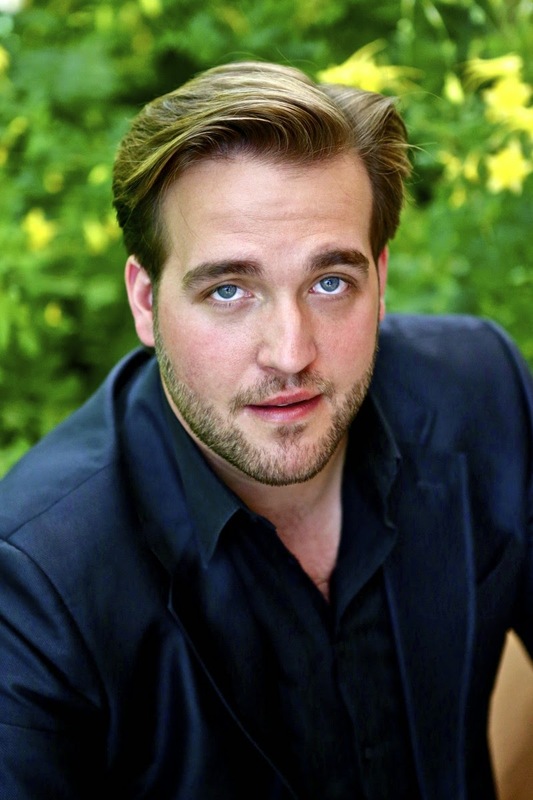 Brian Jagde claimed that last night at Mondavi Center was his first full recital as a tenor. I have to say he started at the top. What exactly does that mean? Did he used to be a baritone? It was announced that he was somewhat under the weather, something that seemed only a small problem in the slower, softer selections. He wanted to sing anyway. He called the selections "deep." I thought that perhaps he had chosen repertoire that he truly loved. I always advise this. Love the music you are singing and sing it with all the love you have. The first group was a set of German Lieder, one each by Schubert (the famous serenade), Schumann (Stille Traenen), Brahms (Mainacht), Wolf and Mahler (Ich bin der Welt abhanden gekommen). I love all these songs, and he was not afraid to allow his voice to soar to almost operatic proportions. Perhaps he's been listening to a certain German who does not hesitate to do this. Next he performed the Holy Sonnets of John Donne by Benjamin Britten. These are true sonnets on deeply religious subjects, rare in the world of great poetry and even rarer in the world of classical recitals. Brian brought the required serious intensity to these wonderful songs which were completely unfamiliar to me. Next he did 5 songs of Rachmaninov and ended with 4 songs by Richard Strauss, Traum durch die Daemmerung, Breit Ueber mein Haupt, Allerseelen (a personal favorite) and Zueignung (another favorite). He sang big and was most successful when he did so. His accompanist Craig Terry laid his music down on the piano instead of using the stand, creating the impression that he wasn't using music. He seemed to be having a lot of fun and enjoying how much the audience was loving it. The first encore was dedicated to Barbara Jackson who sat up high near the stage. The hall is named after her. He sang for her "Recondit armonia" from Tosca, and it was glorious. This is what he really sings, of course. The second encore was "Be my love." Let's just say I think you need actually to be Mario Lanza. It was a bit anticlimactic. This was the most fun I've had at a recital in a long time. Bravo. Sing what you love.